Sorry for the short update, but for all who are interested (or just tired of the constant snow/wet cycle Colorado has been in) this week we set the Left River and Right River. An inventory graph of current problems up in the whole gym is posted next to the setting closet. In addition, there are graphs posted for each wall, a few notes on setting, and some bad bolts and bad t-nuts that you can examine if you want to better understand why we don’t hand out wrenches. Enjoy the new problems, and if you’re looking for used holds don’t miss The Spot garage sale on Friday! 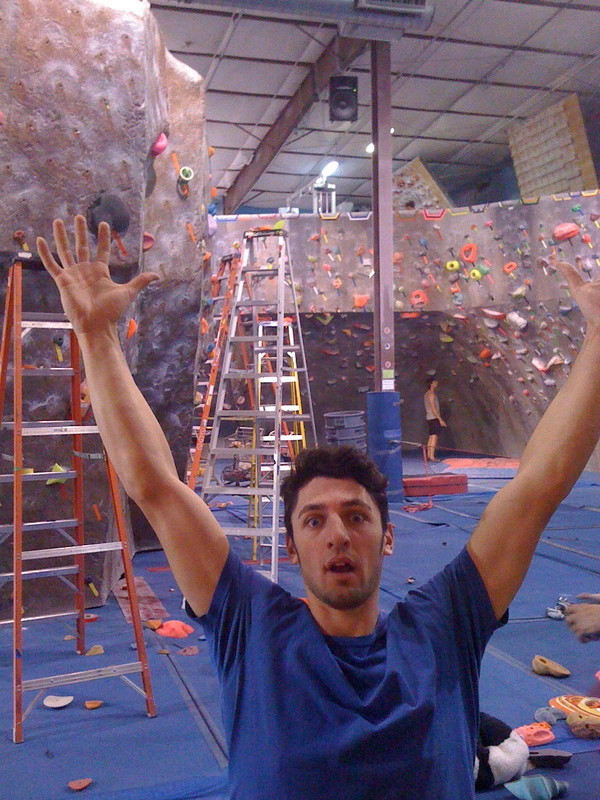 Quick Setting Update + ABS Nationals + Red Point Holds! The New Left River. 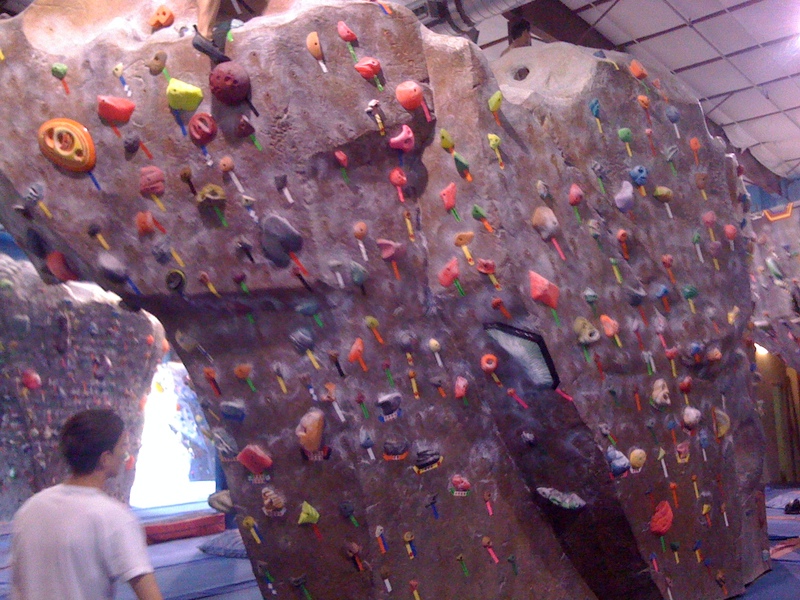 Notice Carlo trying some of our new problems on the left side of the photo. 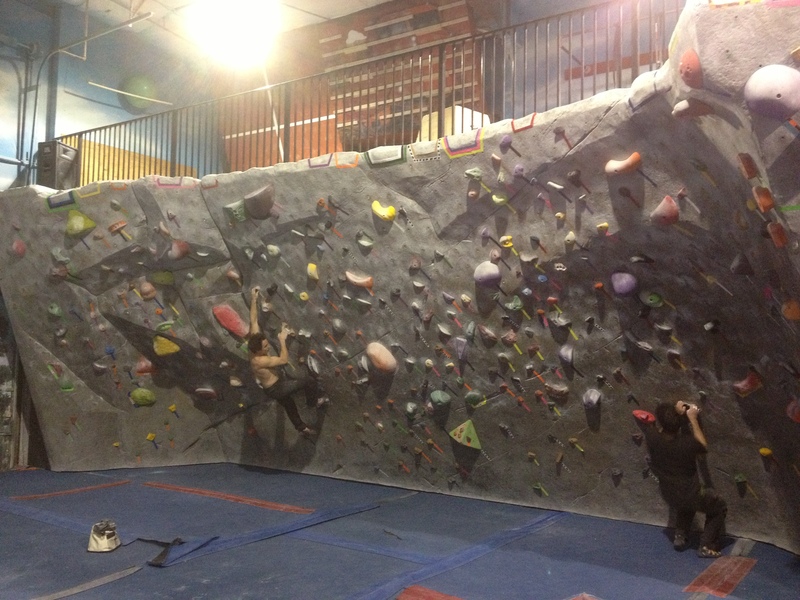 He’s been on the road since June, but due to upcoming ABS Nationals, a bunch of America’s best climbers are in town to earn their place on the World Cup team for Vail this summer, and many have come into the Spot to get that last bit of climbing in before qualifiers on Friday. 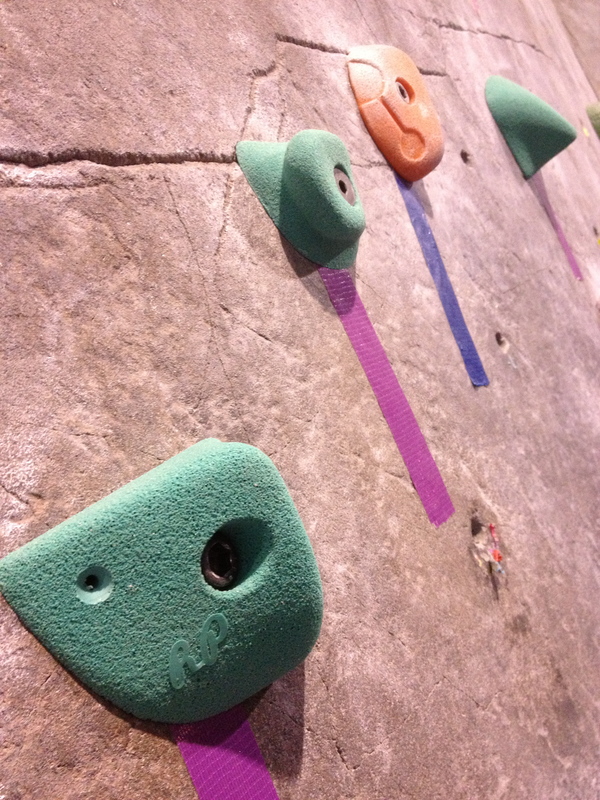 Reset Update + Red Point Holds! I have no idea what that flare is. 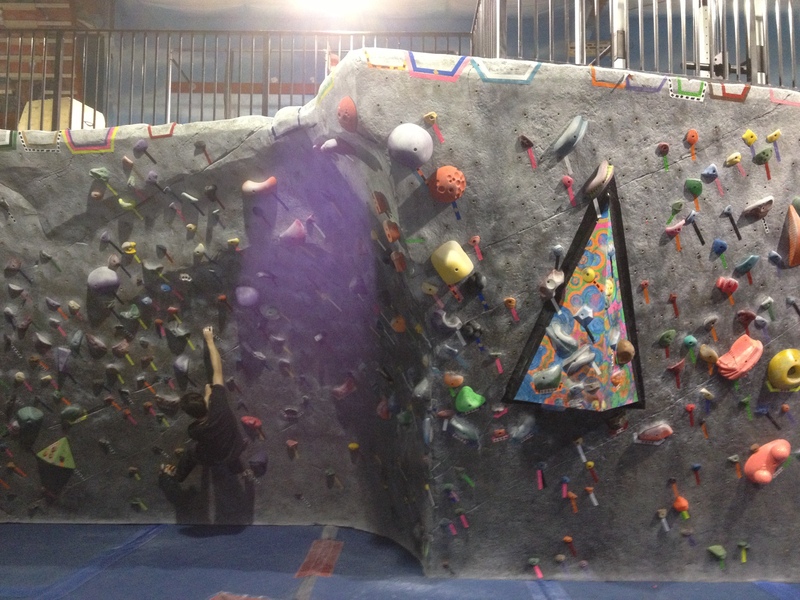 Check out the cool new blue/tan line up the arete! 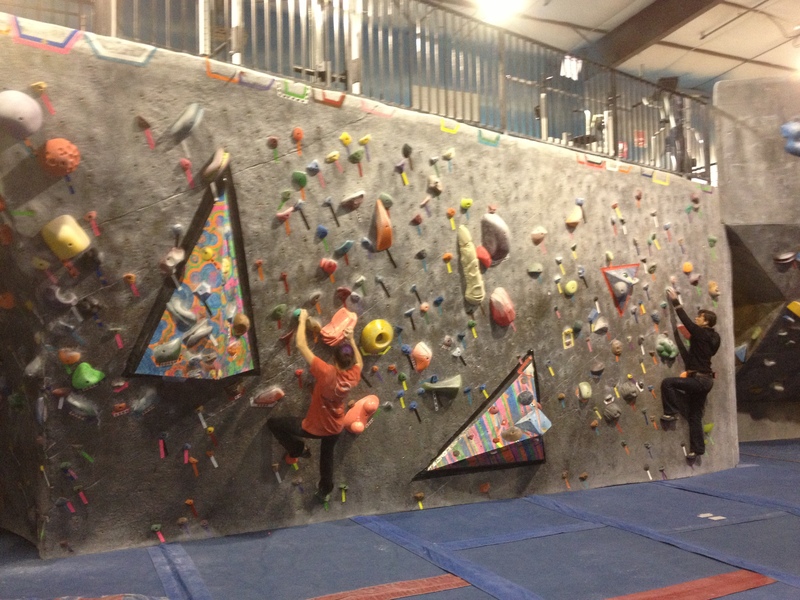 The climber on the far right is actually on the problem I am about to tell you about. We got our tester box of these around one and immediately put them on the wall. You can find them on the purple problem on the far right river. We will do a blog review of these, so climb on ’em and let us know what you think! That’s all for now. Setting again tomorrow, probably adding to the Font. Enjoy! Hi all. No pictures today, but we thought you’d be glad to hear that we added even more problems to the Font and River walls yesterday. There is a good spread going on now of all grades, so get in there and enjoy! Next week…the Dojo! 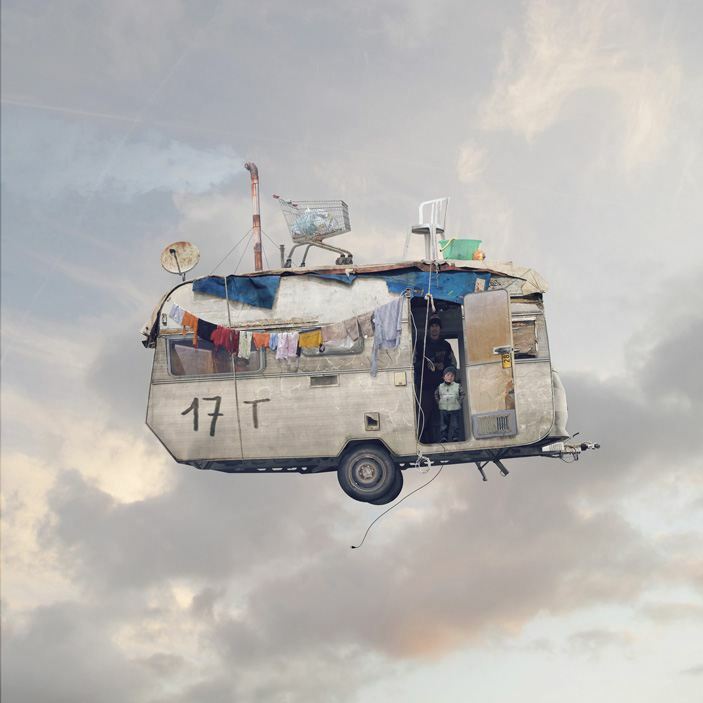 I didn’t have any pics of the walls, so you’re getting this cool flying caravan instead. 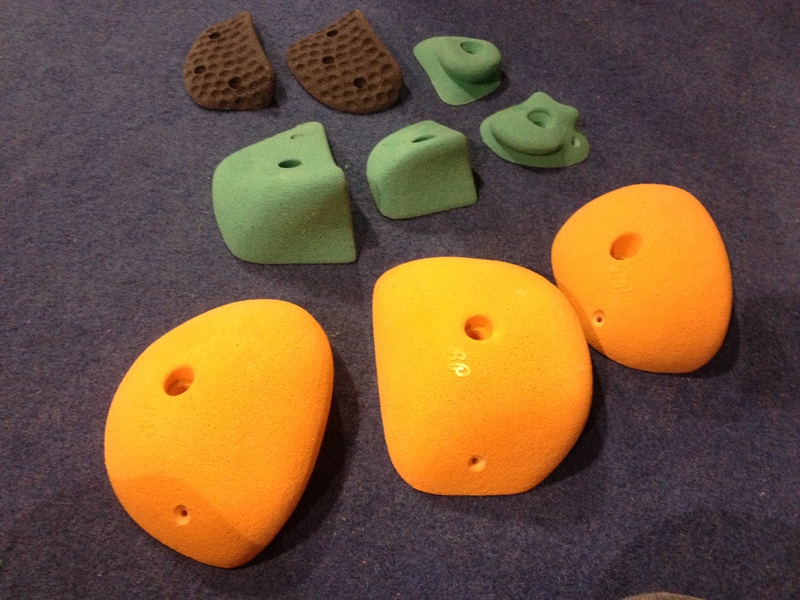 Today, Tuesday, October 30th we added a bunch of problems to the River and Font boulders. 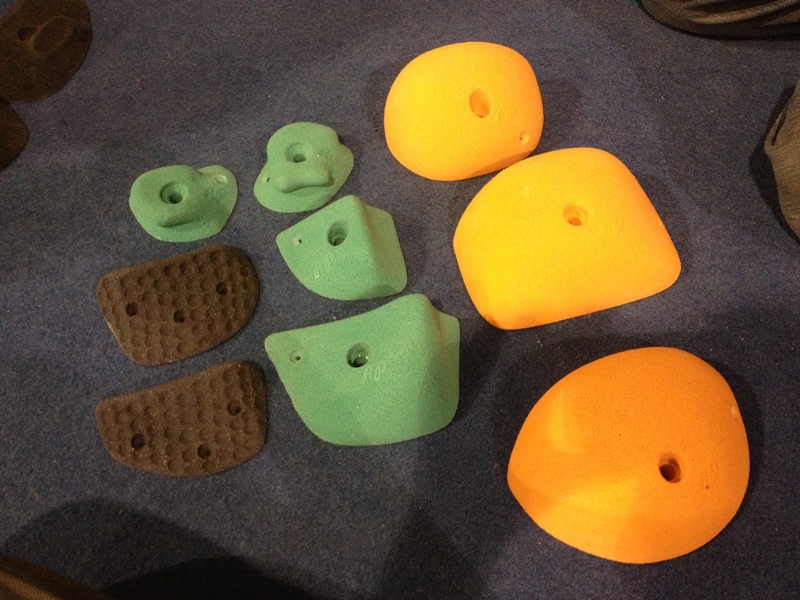 We got even more new holds, so prepare for some awesomeness. We will add more to those two walls tomorrow, and I’ll update if there’s anything extra to note. Also, the setting board has an accurate graph of the problems in the gym again, as I think we’ve got the computer problem sorted out. Next week we’re on to the Dojo! 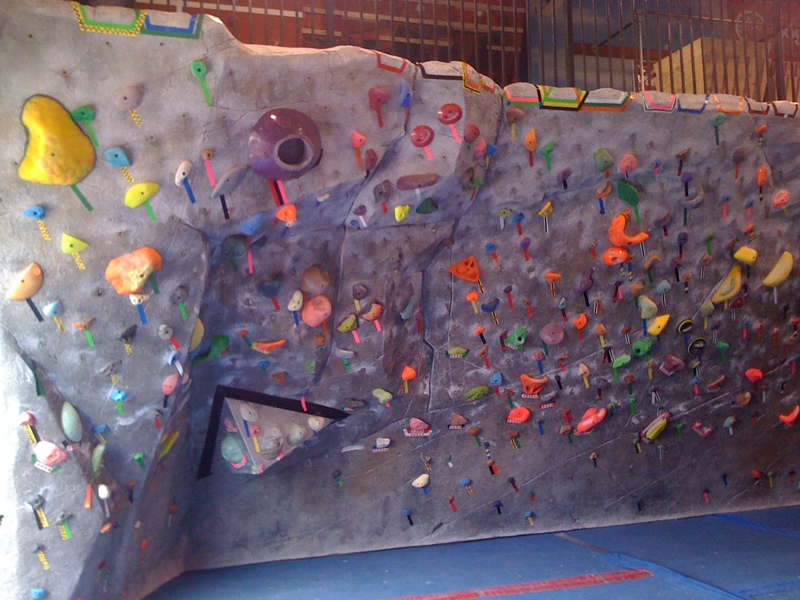 Ok, so yesterday Jon, Danny, Carlo, Nic, Jonny, Carlo, Jay Jay, and I stripped and reset the back of the Hueco boulder. The highlight of the day was when, right before lunch, Jon threw a roll of tape at a So Ill horn I’d bolted on near the top of the Hueco backside dihedral. He was standing by the benches, and somehow magically hit the shot. Here is where he was standing. You can see the roll of tape on the wall above and right of his right (viewer’s left) hand. Today (Wednesday) Jon, Danny, Carlo, Jonny, Nic and I stripped and reset the left river. 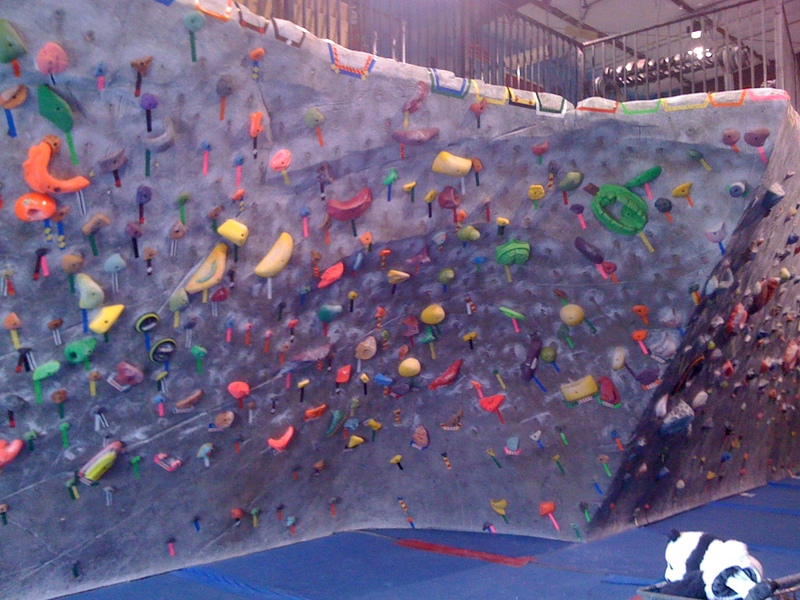 Glorious problems now abound, including Jon’s stemming testpiece of dark green just left of the central arete and his squeezing testpiece, also dark green, on the far left of the wall. 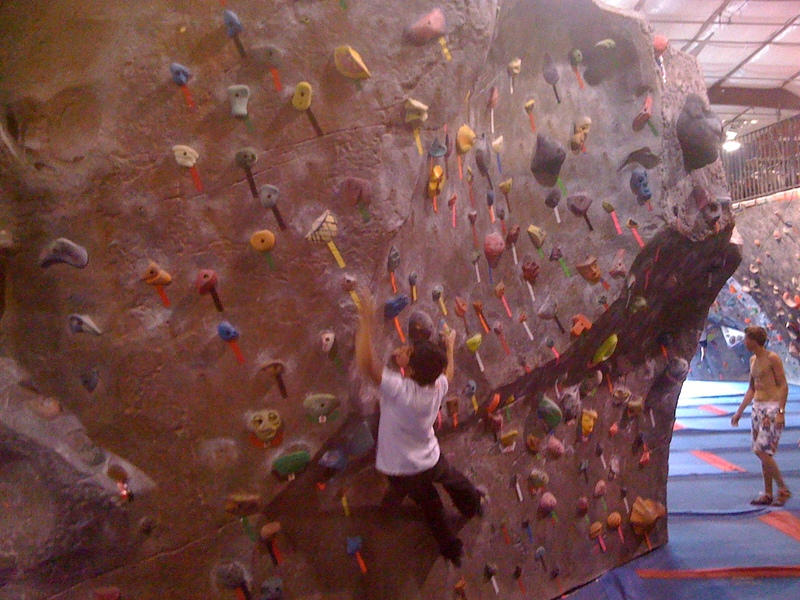 The boys also added a volume to the far left side to spice up the little overhang.